Broomstick lace crochet is quite beautiful. It looks difficult and intricate and amazing. When I first wanted to give it a try, I doubted whether I could accomplish it. I soon found out that it wasn’t nearly as hard to work as I thought. It’s quite simple really and I end up with a sophisticated finished look. It is basically regular, basic crochet stitches worked with a regular, ordinary crochet hook. 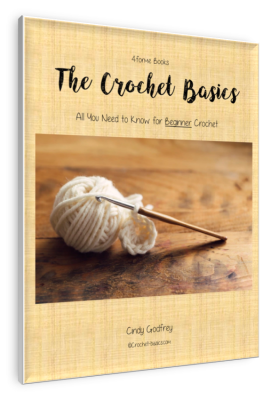 The difference is that loops are created first around a dowel or large crochet hook, or broomstick originally. 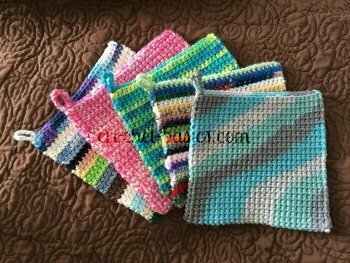 It is similar to the crochet loop stitch. The loops are then crocheted in to giving the material a sweeping flow to it. You need to be careful. Regular wooden dowels can stick to your yarn and make working your stitches difficult. Broomstick lace was started in the 19th century when a broom handle - broomstick - was used to help work the stitches. 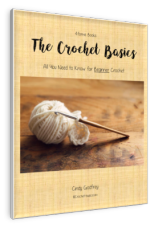 Nowadays, crocheters use wooden dowels, large crochet hooks, large knitting needles or just about anything that works for them. Different sized diameters will give you different looks as well. I like to use my size Q afghan crochet hook. Are you ready to try this beautiful, broomstick lace crochet? This stitch is worked in multiples of 5 + 1. Multiples depend on the number of loops pulled into each cluster. The number of single crochets worked into the loops cluster depend of this, also. For example: if you are pulling 4 loops into your clusters, then your multiple will be 4 + 1 and 4 single crochet will be worked into the loops. Loops need to be pulled snuggly around your dowel. Don’t let them get saggy. Insert hook into the 1st sc and pull up a loop. Slide it onto your dowel (or whatever you’re using). Be sure to slide it over so you have room for all the loops. At the end of the row carefully slide all the loops off the dowel. Turn. Insert hook through the 1st 5 loops. Yo and pull through all 5 loops. Work 5 sc into the middle of the 5 loops. Remember this depends on the number of loops your working into. See multiples above for more information. *Insert hook into the next 5 loops. Yo and pull through all 5 loops and the loop on the hook. Continue * to * across. Turn. Repeat rows 2 and 3, 4 more times. You can finish off your swatch with a row of sc or leave it as is.